Occupancy ‘A’ (Assembly) or ‘E’ (Education) where occupant load is > 50. Electrical Rooms with equipment rated at 1,200 amperes or more and over 6 ft wide that contains switching devices or control devices. Main Exit in Occupancy A(assembly) where occupant load is less than 300. Should my door have panic hardware? Use them in spaces with large amounts of occupants or in rooms with hazardous conditions. 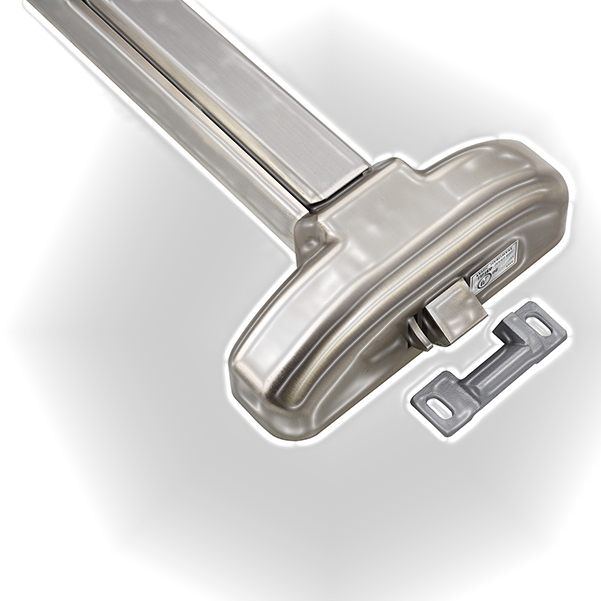 The purpose of panic hardware is to ensure safety and security of a building. Panic Hardware isn’t required in all Occupancy types. It does allow occupants an easy means of egress. Always verify with current codes or specialist to ensure that your condition is code compliant.